When you’re thinking of taking a vacation, it’s normal to go online and peruse the ratings and reviews for hotels. If you’re like most people, you’ll pass over staying at a hotel with comments that warn you of “bed bugs,” right? People don’t like bugs, critters, and other pests to be in homes and businesses. They should be outside in the wilderness where they belong. Health-wise, pests can carry diseases with them that humans do not want. Way back when, rats carried the bubonic plague with them, effectively wiping out millions of people in Europe. Lately it has been in the news that ticks are out there en masse these days, and some can infect people with terrible maladies. It’s kind of amazing to think a bug bite could kill you, right? But in some cases, that’s true. If anything, bug bites can cause horrible itching, as well as rashes and sickness. In general, people hate bugs, and can you blame them? Another reason pest control is important is anytime you’ve got too many bugs of one type in a concentrated place, they can ruin things. Termites could literally eat your house to the point where it falls down! Certain bugs swarming around crops could wipe those crops out. Too many bugs can cause damage to structures and crops. Therefore, we have to be adamant that we’re not going to let pests get out of control where we live. Since 1994, Comfort Pest Control has been quick, safe and, most importantly, effective at eliminating many different types of pests from places where they don’t belong in and around Western New York and Northwestern Pennsylvania. 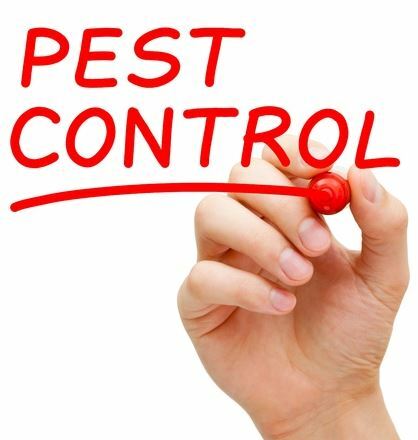 With affordable prices, Comfort Pest Control keeps homes and businesses in the Dunkirk region free of rodents and insects that would otherwise cause problems. For more information, please call 716-366-2120. Have you noticed there seems to be more bugs out and about this summer? That’s because Western New York had a warmer winter than normal. All those bugs are looking for food and water. Summer pests are annoying. The main ones are ants, mosquitoes, fleas, flies and roaches. What can you do to prevent them from calling your home their home? Generally, bugs look for dark, damp places, as well as cracks, holes, and “ways in” to get to food and water sources. Take ants, for example. They tend to show up in kitchens, bathrooms and anywhere else there’s water in the house. 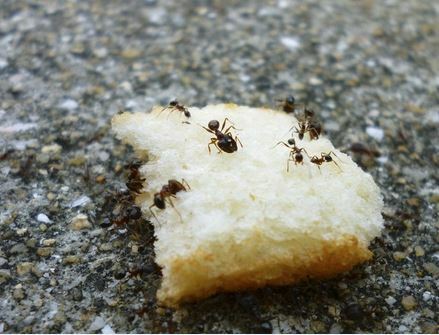 If you have a messy kitchen, with pieces of food on the floor and/or countertops, that stuff attracts ants. A good idea is to do your best to keep all your food in sealed containers, thus not giving ants a chance to eat your stuff. If you have a trashcan indoors, make sure you empty it out regularly, especially when it contains rotting pieces of food. If you have a leaky faucet, fix it. Don’t let open water sit in your sinks or tubs. Mosquitoes seem to love certain people and avoid others. Ideally, you want to be one whom they avoid. Did you know mosquitoes feed on blood from humans and pets, though? You can wear mosquito repellant indoors and/or outdoors to ward them off. Meanwhile, eliminate any standing sources of water in, at, near or around your house. Something as simple as moving the bird bath off the back deck can steer mosquitoes away from you. Fleas like warmer temperatures and they like pets. If you have a dog, give your dog preventative flea medication. Also, bathe your pet dog or cat regularly. Keep your bed and their bed clean. Wash things like blankets and pillowcases often in the summertime, and vacuum the house at least once a week. 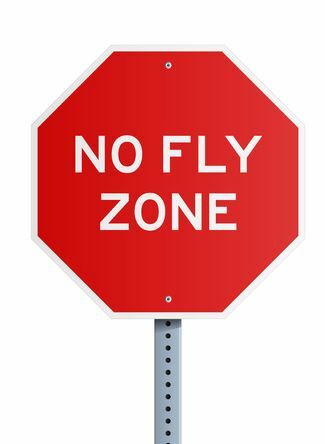 As for pesky flies, the best way to keep them out of your house is to avoid leaving the doors and/or windows open, allowing them inside. If you keep garbage cans near your house or in your garage, you might want to think of moving them further from the house during the summer, as flies flock to garbage. Finally, there are the dreaded roaches. Known to eat almost anything, they tend to be seen in people’s kitchens and bathrooms– the rooms where there are faucets, sinks and tubs. The more dry you can keep these rooms, the less likely you will be to see roaches. However, if you do spot one, chances are there are hundreds more nearby! If and when you do get too many bugs in your vicinity and want them gone, contact Comfort Pest Control of Dunkirk, NY, at 716-366-2120. There are several different types of rats that can invade your home and cause problems for you. Norway rats are some of the most common rats. They originated in Asia before making their way to the United States in the late 1700s, and they are usually brown and measure about 13 to 18 inches in length, including their tails. They are known to be social rodents and often build their burrows close to other rats. Here are some other facts about Norway rats. Norway rats often live in fields, in the soil near rivers, in wood piles, and under concrete slabs. But if they find a home or another type of structure, they will try to get inside of it, and it doesn’t take a very big hole for them to gain access. They are capable of entering holes that are as small as quarters. It’s why it’s important for homeowners to seal their homes properly, especially if there’s a chance rats could be nearby. Norway rats have been known to gnaw through many different kinds of materials. 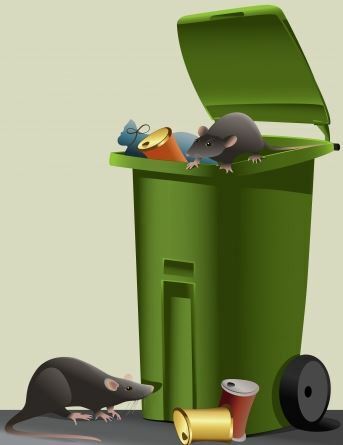 From plastic bins to lead pipes, Norway rats love to gnaw through things, and they will not be deterred by anything. They are constantly on the hunt for food and water and will stop at nothing to find it, even if it means chewing through something that might seem indestructible. Norway rats can carry diseases like jaundice, cowpox, salmonellosis, rat-bite fever, and more. They can also introduce fleas into a home, and they can contaminate food. If you have Norway rats in your home or other pests that you want to get rid of right away, the best way to do it is by hiring a licensed exterminator to get the job done. Comfort Pest Control can send an experienced exterminator to your home to remove Norway rats and keep them away for good. Call us at 716-366-2120 today to schedule an appointment. Bees serve a very valuable purpose in this country. They are used to pollinate many of the crops that grow and provide us all with food. But unfortunately, bees can turn into a real nuisance and, at times, present problems for homeowners when they build their nests in and around homes. For that reason, you should take preventative steps to keep bees away. Here are just a few ways to do it. Bees only need holes that are about a quarter of an inch wide in order to work their way into a structure. So if you have any holes, even tiny holes, in decking material or near the roofline of your home, you should have them sealed in the spring before bees have a chance to move in. You should walk around the outside of your home and check for any potential entry points that bees can use to work their way in and get rid of them. You should also check for entry points in sheds and other structures that you have in your backyard. Bees will usually look for entry points in homes, sheds, and other structures first, but if they are unsuccessful, they will move on and look at any clutter that exists in your yard to build a nest. They have been known to build nests underneath of lawn equipment, inside of unused appliances, and more. Bees are not particularly picky about where they put their nests, so you need to be diligent about removing clutter that could potentially be used by bees. If you notice a beehive on your property, you need to have an exterminator come out to get rid of it immediately. Bee colonies can grow quickly, and if you aren’t careful, a small nest can lead to hundreds of bees swarming around in no time. Rather than putting yourself in danger by trying to take down a beehive yourself, let a professional handle it. It’s especially important to get rid of honeycombs since they can attract more bees in the future if they are left intact. If you need help getting rid of bees on your property, Comfort Pest Control can help. 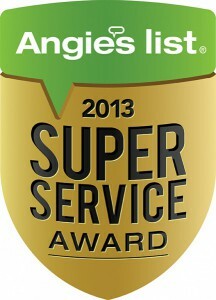 Call us at 716-366-2120 today to obtain our excellent exterminating services. Dealing with pests inside of your home is no fun; it’s an invasion. Bugs don’t belong inside of our homes, but even we can agree that not all insects are bad because some of them are responsible for saving wine vineyards. According to WineEnthusiastNetwork, some bugs are vital in the production of grapes and ultimately, wine. If you’ve ever dealt with a wasp nest near your home, you know that they are ruthless. They have a very painful sting and they are a danger to children and pets. They have no place in or around our home. When out in the vineyard, wasps work as a natural pesticide by laying their eggs into the eggs of other insects that might be harmful to the crops. Many pesticides can be harmful to crops and our environment, however, the wasps eggs are not. Predatory mites also act as a natural alternative to pesticides; the hungry bugs feed on spider mites, which eat the sap from the vines and cause damage to the leaves and shoots of the vine. Bumble bees are also an important factor in some vineyards. The bees help to pollinate the crops, which is what helps the crops flourish. Without bumble bees, grape vine crops wouldn’t grow. You can’t have a healthy crop without good soil, which is where earthworms come in. Earthworms help keep soil healthy by degrading plant matter. Without earthworms to keep the soil healthy, it would be impossible to grow healthy grape crops in the soil. Although we don’t love insects inside of our homes, we do appreciate the work that they put into our vineyards. If you have a pest problem, call the experts at Comfort Pest Control. Many of the pests that we deal with, as far as insects go, often have wings. Insects such as bald-face hornets, carpenter bees, cluster flies, yellow jackets, all have one thing in common: they can fly. While some people are often afraid of “creepy-crawlies,” such as spiders or beetles, others are terrified by the insects that can swoop in and swarm in circles around you. Luckily, there are some precautions that you can take to prevent flying insects from swooping into your home. We understand that you need some outdoor lights in order to get in and out of your home safely, and to protect your home as well. However, only use what outdoor light you need. Outdoor lights attract mosquitoes and months and as soon as you open the door they can easily get in. If you do have several outdoor lights, it has been said that yellow tinted bulbs are best at keeping bugs away. If you have outdoor garbage or trash cans, keep them several feet from your home. Insects are often attracted to heat and odors, both things that garbage cans possess in the summer. The smell of spoiled food, as repulsive as it is to us, is a bed of roses for insects. Keep your garbage shut and make sure you wrap or seal any food that you throw out. You should also rinse out your garbage cans regularly to prevent them from sitting in spoiled foods or liquids. Most flying insects get into homes through doors, windows, vents, and any other open gap that they can find. If there is an opening that isn’t somehow shut off from the home, they will find it and get into the home through it. If you want to leave a door or window open to let fresh air in, make sure your screens have no holes are secured. Don’t leave doors open when bringing in groceries, let it close between each trip to prevent unwanted insects from slipping in unnoticed. If you find that you have pest or insect issues, contact Comfort Pest Control take care of it for you. Many people are really afraid of snakes, and if you live in a region where you m ight find them in your garden or yard, you likely panic at the sight of it. Snakes can be an intimidating pest and they have a bit of a reputation for being creepy. However, the most common Snake in the United States, the garter snake, poses as no threat to humans. A common garden snake, known as a garter snake, is plentiful in America. Since it is highly adaptable and can live in many different habitats, you may find one in sunny California and another one in blustery Buffalo. The “Eastern Garter Snake” is a snake commonly found in Western New York. Garter snakes are typically a greenish brown or a dark brown, and they usually have stripes running the length of their bodies. They are often found in moist fields and meadows, lawns, gardens, and other areas with plenty of moisture. Garter snakes can produce venom that will paralyze small prey but it does not affect humans. Regardless, garter snakes might bite you if provoked though which is why you should not attempt to pick them up if you come across one. If you see a garter snake in your yard, it isn’t necessarily a pressing issue. They can often be spotted slithering through the grass. However, if you find one in your home or you find several on a regular basis in your garden, you should seek a professional onion. Garter snakes migrate when the weather gets cold, so they’ll likely be heading back to Western New York sometime soon. If you discover a nest of snakes on your property, have Comfort Pest Control take care of it.